Even small businesses in rural areas can benefit from a professional logo design. Logo Design for a Tractor Repair Business in Iowa. 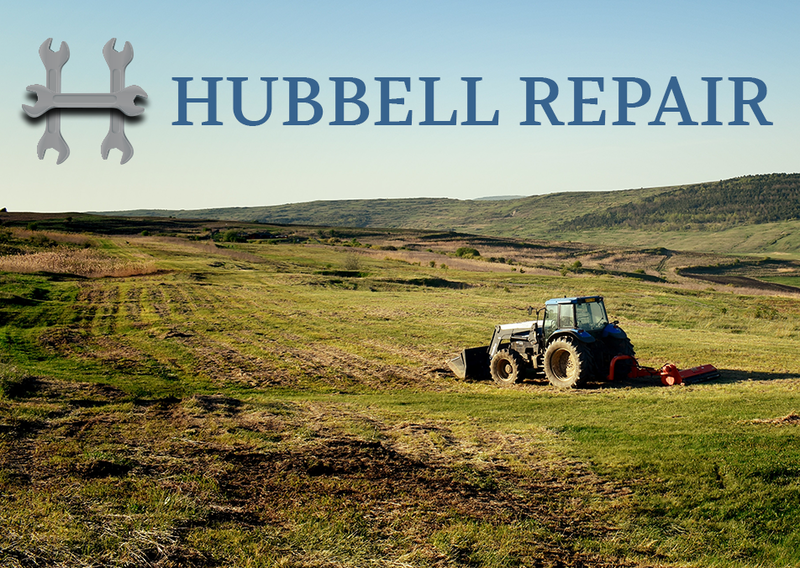 Hubbell Repair is a tractor shop located in Plover, Iowa. It is run by Kirk Hubbell, who is also the mayor of the town. He services tractors and other large equipment in Northwest Iowa. Hubbell Repair is a well-known business in Pocahantas County, Iowa. As Kirk was expanding his business and building a new garage for the large pieces of equipment he works on, he was in need of a new logo to go on his new signs and tee-shirts. The logo needed to appeal to his existing clients as well as new ones. He had an idea in mind – and with that we worked to create a logo that is easy to use on a variety of marketing materials. After discussing the goals of the project and reviewing various options for the client, we decided to work on utilizing tools of the trade for the logo. We wanted something that would be easily recognizable as well versatile, as the logo would be used on signage, tee-shirts, and other marketing collateral. The colors were to be neutral – we decided to focus on gray and black. We chose to go with a more traditional serif font that balances the curves of the icon. We kept the text simple and easy-to-read.